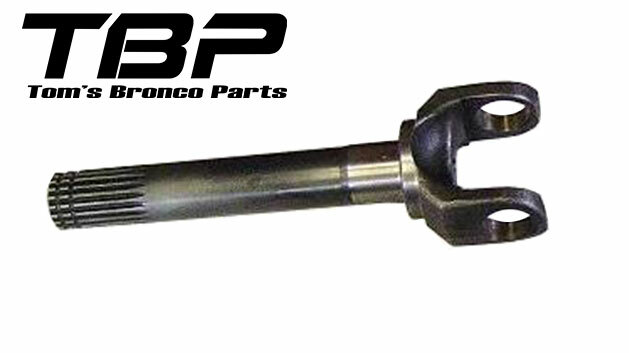 The Dana 44 Front Differential was offered standard in Ford Broncos from late 1971 through 1977. 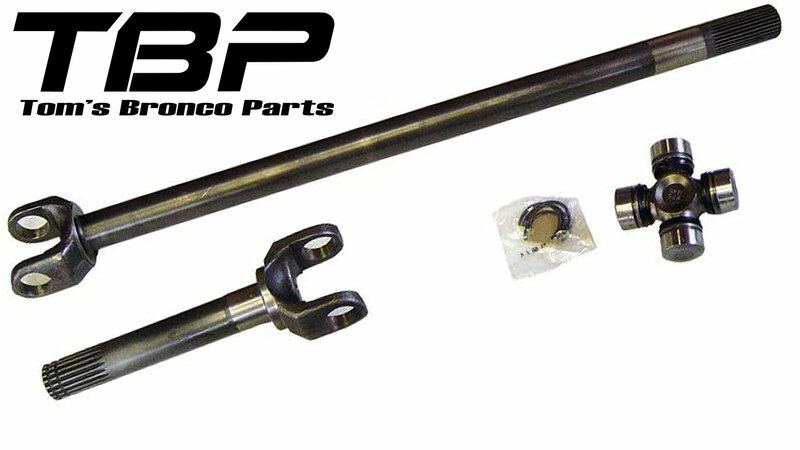 The Dana 44 Bronco axle included drum brakes from late 1971 through 1975. 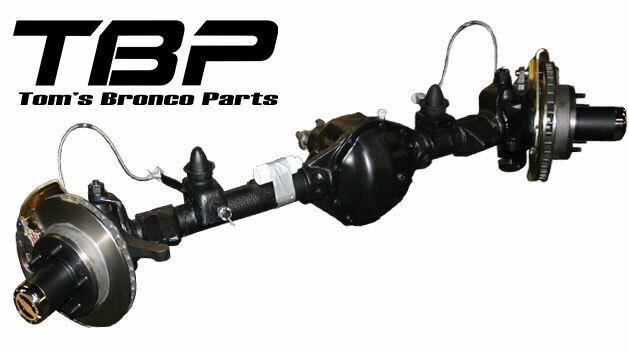 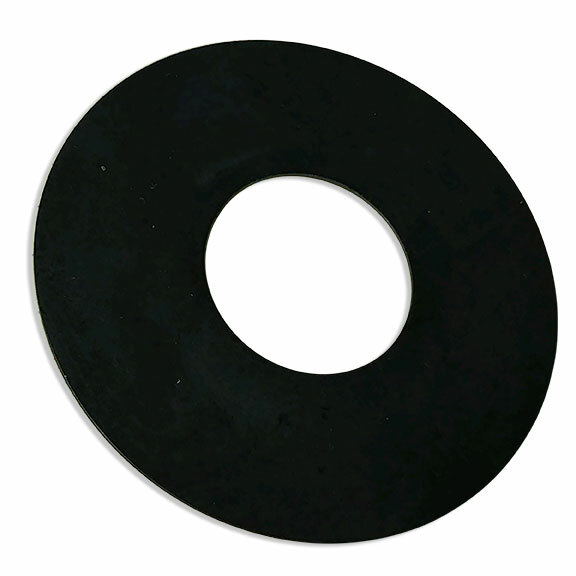 In 1976 & 1977, the Bronco Dana 44 came factory with disc brakes. 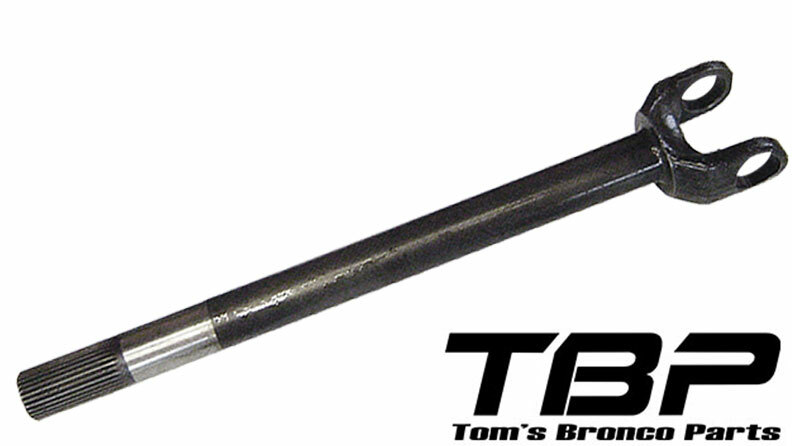 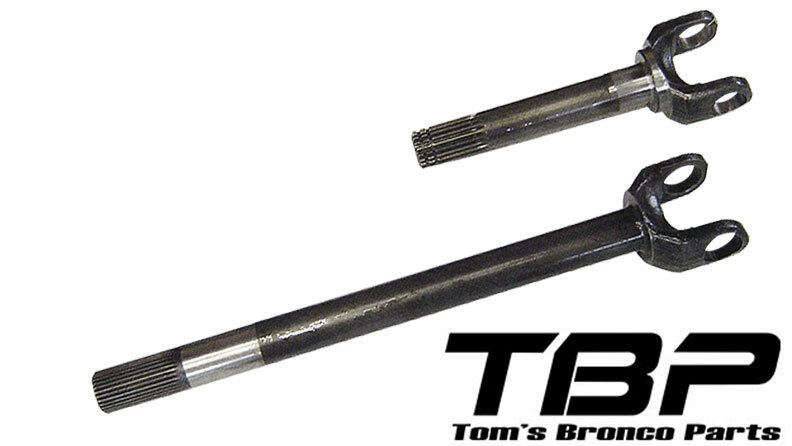 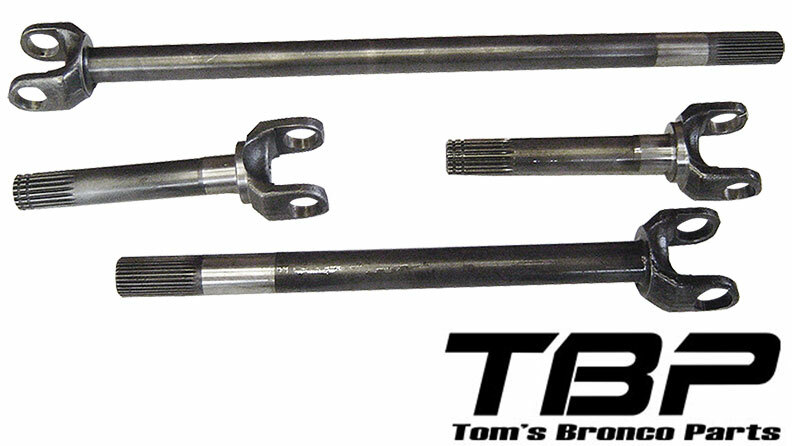 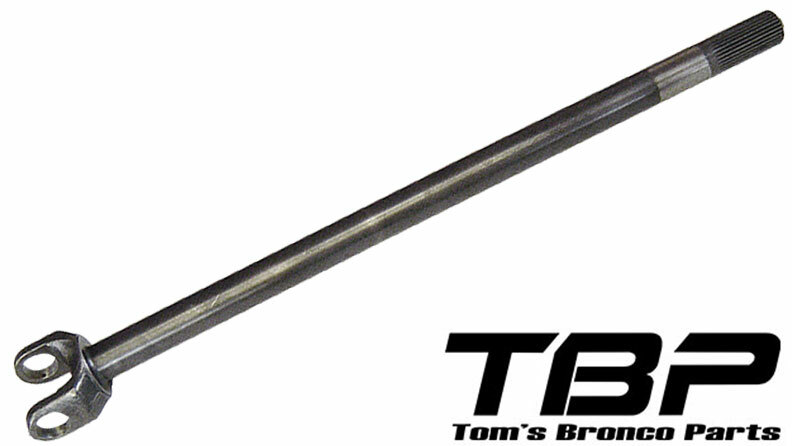 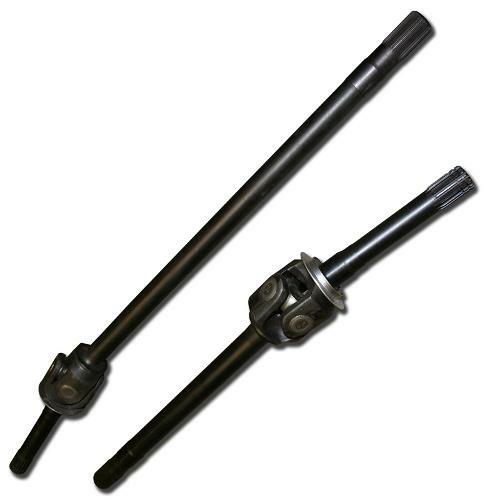 Our Dana 44 axle shafts are made with 4340 Chrome Moly Steel which offer up to 40% more strength than factory Ford Dana 44 front axles. 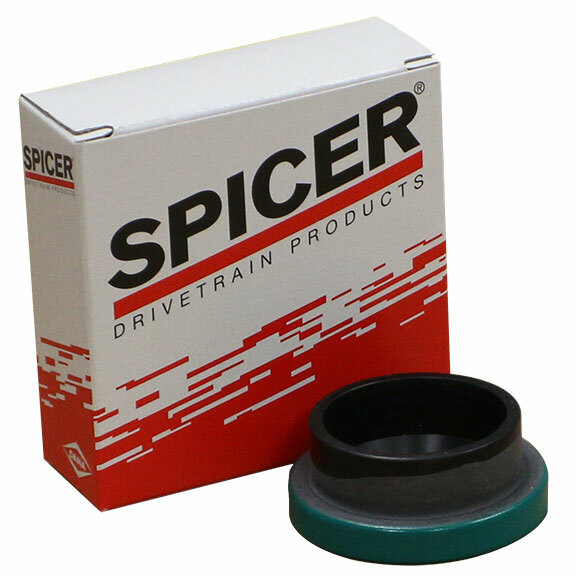 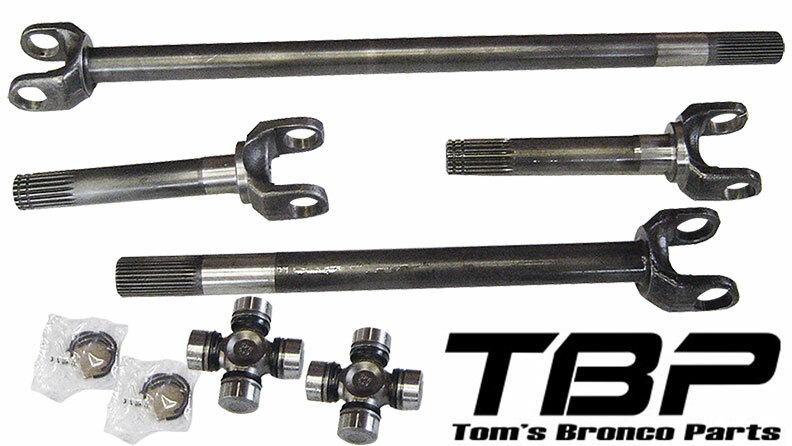 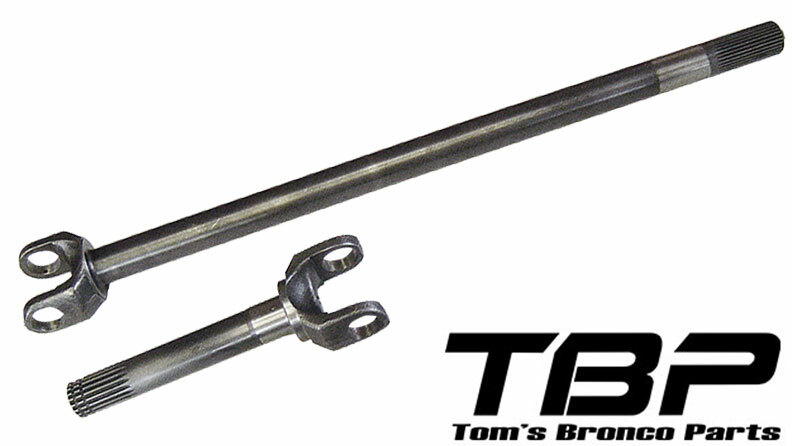 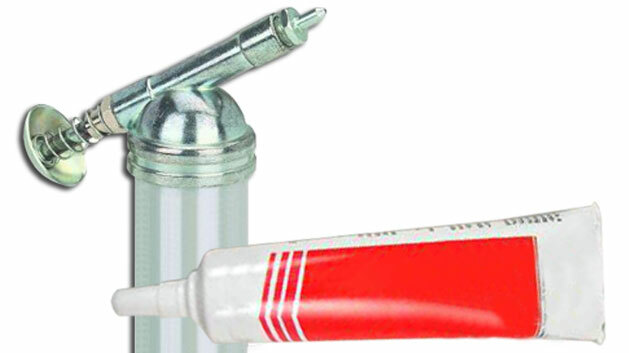 We also use Spicer 760x u-joints with our chromoly Dana 44 axles. 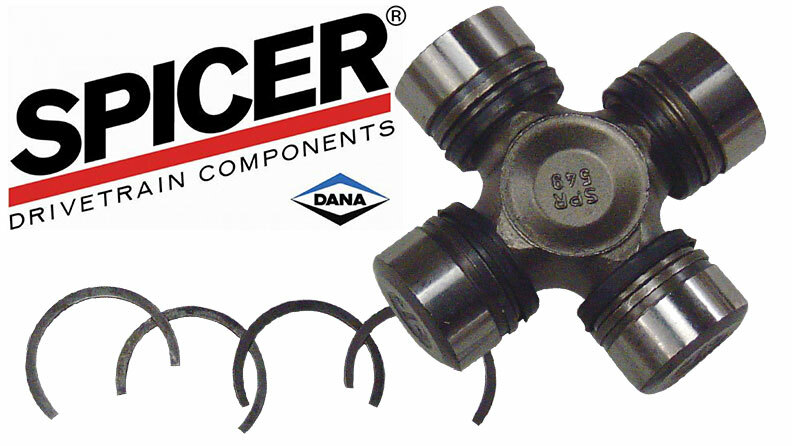 These high-quality u-joints are necessary because even with an excellent quality u-joint, the weakest point in your Dana 44 axle shaft will be the u-joint area.